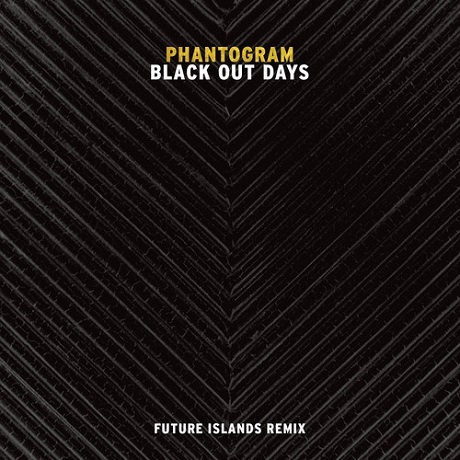 It's been a few months now since Phantogram issued their Voices LP, so now they're having Future Islands pipe up with a minimalist remix of the record's "Black Out Days." The original's throbbing '90s pulse and woozy synth oscillations have been blacked out in the remix, with subtler percussive tones and washes of sound bringing the track into moodier, ruminative territory. If the original seemed like it could score an all-nighter in a darkened club, the Future Days-helmed "Black Out Days" comes across as the aftermath, a slit of light peeking through the clouds as you wander back home. You'll find the remix down below.